If you love a good burger but are trying to curb your calorie intake, give bison burgers a try. Bison is naturally leaner than beef, has a richer and sweeter flavor and is high in many essential nutrients. 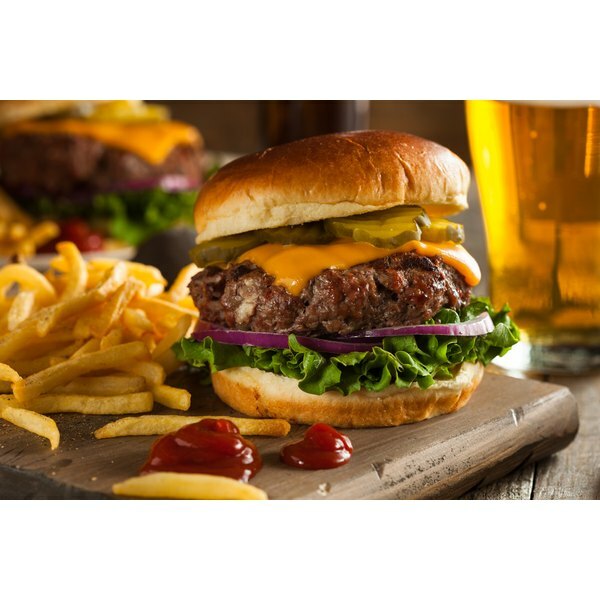 A bison burger made from 100 g of meat contains 143 calories, according to the Missouri Bison Association. It also provides 2.42 g of fat and 82 mg of cholesterol. Bison meat is high in B vitamins, potassium, iron, selenium and conjugated linoleic acid, an antioxidant that can help prevent cancer, reports the Missouri Bison Association. Because bison meat is much leaner than most other red meats, bison burgers cook faster than beef burgers; try cooking bison burgers at a lower temperature for more time than you normally cook beef burgers, recommends the U.S. Department of Agriculture's Food Safety and Inspection Service.